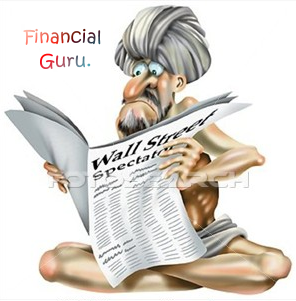 Werner's Cairns blog: Gottliebsen, Australia’s financial “Guru” making dire prediction. Gottliebsen, Australia’s financial “Guru” making dire prediction. Robert Gottliebsen has spent more than 30 years writing and commentating about busines s and investment in Australia. He has won the Walkley award and Australian Journalist of the Year Award, two of journalism’s highest honours. Gottliebsen is no fool and says it as he sees it. He says: Our problems have not yet begun. The government at every opportunity accuses the opposition of not knowing anything about economics, yet most of their MPs have government experience and helped to make Australia prosperous; paid off billions of Labor debt. However on the government side, as far as I know, none of the serving ministers had any government experience, in other words; they are “apprentices,” yet they think that they have all the answers. Well, just read what Gottliebsen has to say. Business spectator commentary by Robert Gottliebsen: A mammoth capital strike looms. At this stage it's just private words to selected journalists and few decisions have been made, but Australia is on the brink of the greatest capital strike in its history and one of the largest ever seen in the world. In the vicinity $100 billion of resource projects that were almost certain to go ahead are now headed for mothballing until the resources tax is either abandoned or severely modified. If the private words to me and other journalists are converted to action and a new mining project capital strike is launched, then almost certainly Kevin Rudd will not win the next election. The economies of Queensland, WA and South Australia would be decimated. I have never seen an industry so angry. As we saw in the medical area, Rudd just put the proposal on the table and tried to bully his way through. But miners are much tougher than state premiers and the international majors have a raft of projects in other countries that will now take precedence over Australia. They can wait until sanity returns down under. The sufferers will be the myriad of contractors that have based their business on what appeared to be major mining investment programs. Yesterday I had the chance to talk with a number of people who will play a key role in whether there is a capital strike or the miners roll-over. The people I spoke to have no doubt that there will be a strike. Stephen Bartholomeusz pointed out yesterday the $60 billion worth of coal gas and LNG projects at Curtis Island and surrounds are now in grave danger of being mothballed. Rio Tinto has $5 billion globally to spend on new projects and $12 billion on global project candidates – WA iron ore was close to the top of the list. It is now at the bottom and will be scrapped. BHP is in no hurry to develop Olympic Dam further and the project that SA Premier Mike Rann staked so much on, is a prime candidate for mothballing, which would devastate South Australia. There are a raft of other smaller projects likely to be suspended. Like the Western Australians and Queenslanders, the South Australians only have Kevin Rudd to blame. Just as the Rudd government had no idea about the chaos they were creating with the badly structured emissions trading scheme, the inexperienced Rudd team had not the slightest idea of what they are doing to resource projects when they drafted the new tax. Less than a decade ago resource projects were struggling. They will struggle again some time in the future. The Rudd plan assumes a ridiculous 6 per cent return and then lumps a 40 per cent extra tax on earnings above that, which takes the tax rate to the vicinity of 58 per cent and in some cases it can be higher. If a miner is well into the construction of a new project they will have to keep going but if they have not started, the rewards now do not match the risk. Even if a resource company was prepared to take a punt it is unlikely that a banker would back it. Moreover, all the major resource groups have projects from all around the world competing for their capital spending dollar. By starting a new project in Australia big miners are declaring that a 58 per cent tax rate is acceptable. If any global company, including Australian-based global companies are prepared to be taxed at that rate in Australia, then they would face the danger of similar rates elsewhere. Nevertheless it is always possible that Kevin Rudd may get one major resource company to break the strike but for the most part it will remain for as long as it takes. Already Canada is pleading for global resource companies to divert money from Australia to develop their projects. Africa will point out that they are more politically reliable than Australia and that past decisions in Australia have been made on a totally wrong tax premise. But it gets worse for Australia. The flower of confidence has been trampled on by our Prime Minister and no one will want to go ahead with a major project unless there is an act of parliament setting the tax rate forever. Kevin Rudd is now caught in a massive pincer. At the top, there is about to be a capital strike. At the bottom, assistant treasurer Nick Sherry wants to eliminate independent contracting as we now know it (One man can make Abbott PM, March 3). And in the middle, we have a series of blunders led by insulation and education building and a botched emissions trading scheme. Oppositions don’t win elections, governments lose them. These are possibly the 5 best sentences on politics you'll ever read ... They should be in every book in every school room in every city in every state in our great Nation. Our educators should make a lesson plan on these statements and instill these words in the minds of all students. 4. When half of the people get the idea that they do not have to work because the other half is going to take care of them, and when the other half gets the idea that it does no good to work because somebody else is going to get what they work for, that, my friend, is the beginning of the end of any nation. This government and the PM are absolutely inept. It is frightening where we are heading in the country under this mob.. I just hope & pray that most good AUSSIES wake up to their future problems under this Government & kick them out with a very large boot. Werner we are reading with great interest all your postings and find them most informative and interesting. Keep up the good work. Werner, I thought that I have to tell you this. We regularly are reading your blog entries and find them extremely interesting and informative. The other day we printed out some of your postings and gave it to a friend who hasn’t got a computer and who doesn’t read the paper or listens much to news. She was astounded what she read and had asked us to give her regular print-outs from your blog to get better informed about the issues that confront us. Dear Meg Hatton, by all means give your friend copies of Werner's blog, but to achieve some balance in her "education" also give her copies from other more balanced commentaries. Werner has a particular point of view which reflects his bias (as do we all). Reading Werner's blog alone will just result in you becoming a sort of Werner clone. A fair balance drawn from all sides of politics is necessary before you can hope to form an intelligent opinion of your own. To: T. Asquith. By reading your comment, I find that you have a very nasty streak. Who do you think you are, T. Asquith, to lecture me? I’m an intelligent person and can think for myself and don’t need your help. I can easily distinguish between good and bad. I read a fair bit and find Werner’s blog most informative and interesting and so do my family and friends. If you have a problem with Werner’s blog, why do you read it? I just read T. Asquith’ “lecture” to Megan Hatton, what unmitigated effrontery from this person, he/she must think that everybody is stupid, except him/her. I can make my own judgement of what I read, and I’m intelligent enough to evaluate what I read; I resent no end, when “half smart” people like Asquith want to tell readers what to do. If I wouldn’t find Werner’s blog interesting and informative, I wouldn’t keep coming back to it. Keep up the good work, Werner, don’t let shallow minded people deter you from doing what you do so well. It seems, Asquith has an aversion towards Werner, it makes me wonder why he reads Werner’s blog. Oh dear, I'm accused of "a very nasty streak" from a Meg Hatton, and "unmitigated effrontery" from a Tom Denton. How very intolerant of you. And this simply because I recommend you (and everyone) absorb a wide variety of views. Well, at least I practice what I preach: I read Werner's blog for precisely the same reason I recommend you to be very catholic in your sources of information and opinion. I too find Werner informative and interesting, it's just that I hardly ever agree with his views believing that much of what he publishes to be extreme right-wing (I also read Greg Sheridan in The Australian and Andrew Bolt in the Herald Sun and I NEVER agree with their views - for much the same reason). Whilst Werner continues to publish his blog, I'm entitled to read it, disagree with it (when I do), and respond with my relevant comments. And I'm sure Werner understands his obligation to post me. Censoring respondents on the basis that they state differing or counter views achieves nothing except to turn a serious blog into a fan club of the like minded. This is something that you, 'Meg' and 'Tom', should bear in mind. As an “outsider;” I live in California, and an avid reader of Werner’s blog, I and would like to add my pennies worth to the Asquith “debate.” This fellow, what I can gather from his comments is to discredit Werner in a malicious way, but he will not succeed as people will take this guy as a brain-dead fool. I cannot understand his logic, why on earth is he reading Werner’s blog? The sentiments expressed by Tom Denton and Megan Hatton are my sentiments as well. To Asquith: This is the sanctimonious reply I expected from the likes of you. Lucky plagiarism isn't an offence on your planet Werner. Try Googling the following and see where it shows up. I did. "These are possibly the 5 best sentences you'll ever read. This is one paragraph that should be in every book in every school room in every city in every state in our great Union ... Our educators should make a lesson plan on this one statement and instill these words in the minds of all students." 4. When half of the people get the idea that they do not have to work because the other half is going to take care of them, and when the other half gets the idea that it does no good to work because somebody else is going to get what they work for, that my dear friend, is the beginning of the end of any nation..
5. You cannot multiply wealth by dividing it. Quite true. Along with my love for my community, friends, and family, I also love living in America. I am a conservative Republican and am extremely concerned with the direction our country is being moved. I hope you enjoy reading my blog and hope you will leave a comment when you visit. To Bervi. I would love to visit your blog and perhaps make a comment, however you forgot to include your blog address in your comment. Belgium, France, move against full Islamic veil.